Thank you for visiting us online. Our hope is that you will spend a few minutes browsing through our pages learning more about who we are and what we like to do. With our first years behind us, the Troop is doing well and growing, welcoming our next class of Webelos into the Troop. Our troop is chartered to Grace Lutheran Church in Rock Hill, SC, a growing, vibrant city. Our Troop was first organized in 2012, and quickly became a pace-setter in many areas of scouting. We invite you to come join us in our adventures. We meet almost every Monday at Grace Lutheran Church from 7:00 PM until 8:30 PM. Click the “find us” link at the top if you need a map. We look forward to seeing you. We enjoy learning more about other units and are always looking for ways to improve our program. If you have a question or an idea, or just want to chat, drop us a note. 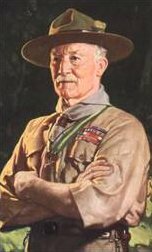 Our Troop policy manual is now available on our documents page, as is our Youth leadership position guide. Thank you for your interest. We are working hard to build a strong troop program. Please note that per BSA specifications, the wearing of camouflage or military style apparel as part of the uniform is prohibited.